As part of a series of Sunday marathons highlighting fan-favorite characters in The Walking Dead, AMC is set to air ten episodes back-to-back that show the best of housewife-turned-zombie-killer Carol Peletier. Played by Melissa McBride, Carol started out as a mother who lived in fear of her violent and ill-tempered husband, but by the end of season 2 both her husband and her daughter, Sophia had been killed off. 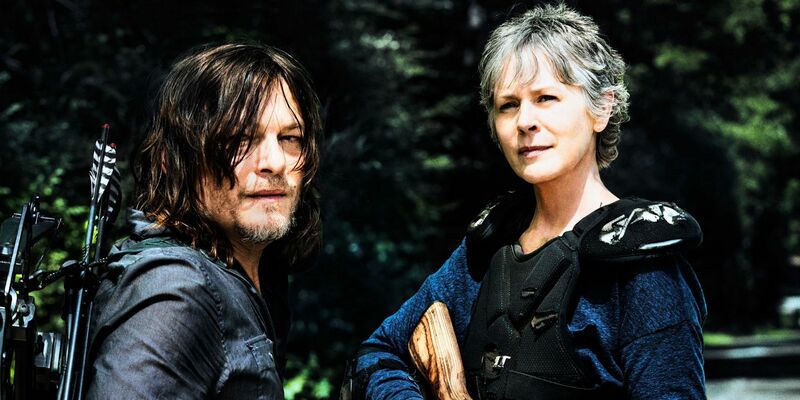 The search for Sophia marked the start of the close relationship between Carol and fellow survivor Daryl Dixon, who continued to look for Sophia on his own while the other characters focused on different priorities. The pain of losing her family caused Carol to develop a tougher persona, and she eventually became one of the fiercest fighters in the group. The Carol marathon will begin on Sunday at 11am E.T., and these character-based marathons will continue in the coming weeks, with a Governor marathon on July 8, a Shane marathon on July 15, a Glenn marathon on July 22, and a Michonne marathon on July 29. The Shane marathon in particular may be worth checking out if you’re eagerly anticipated more Walking Dead, as actor Jon Bernthal is set to reprise his role in season 9. Highlights of the Carol marathon include the season 2 episode “Cherokee Rose,” in which Carol and Daryl first begin to bond over their shared concern for the missing Sophia, and the season 4 episode “The Grove,” in which Carol is forced to shoot a young girl, Lizzie, after her obsession with zombies leads her to murder her own sister. The scene in which Carol tearfully tells Lizzie to “look at the flowers” remains one of The Walking Dead‘s most memorable (and tragic) moments. The Walking Dead season 9 is expected to premiere in fall 2019. The ‘Best of Carol’ marathon will air Sunday July 1st, starting at 11am E.T.